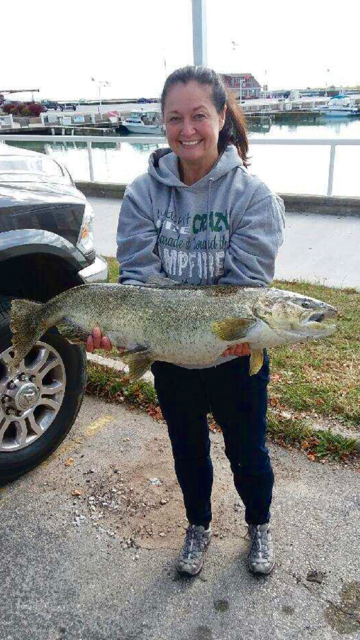 Sheila Albiston with her salmon catch from October 2018. 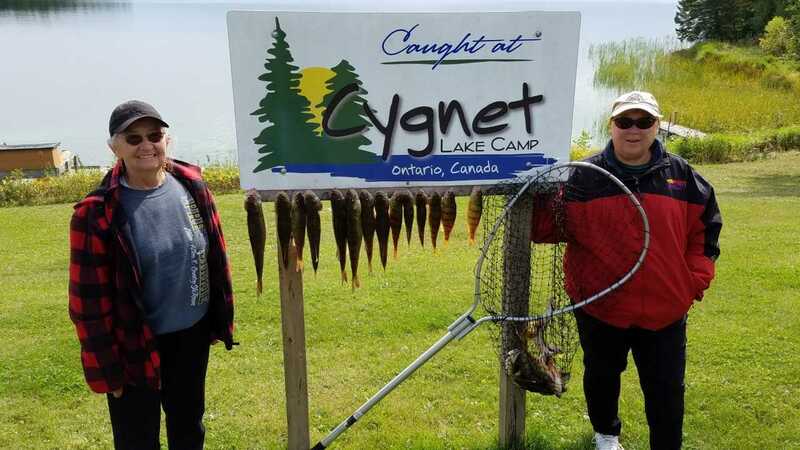 Shelley Lee & friend Barb with their morning catch of Walleye & Perch up in Ontario, Canada in September 2018. 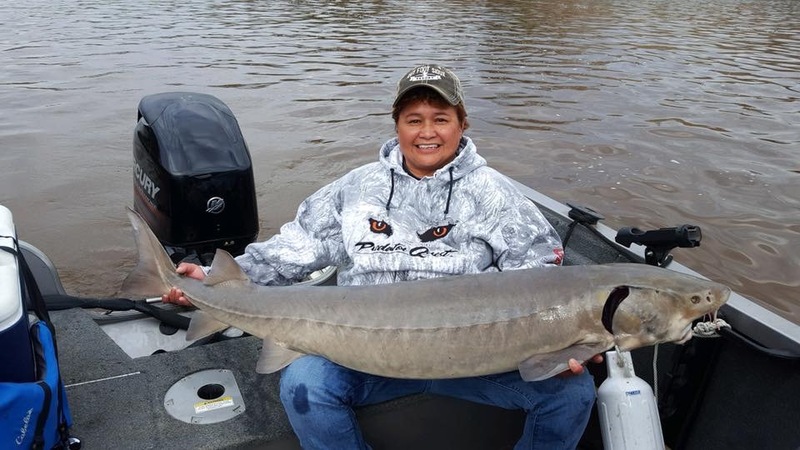 Deb Delgado caught this Sturgeon (measuring 58 1/2” long!) 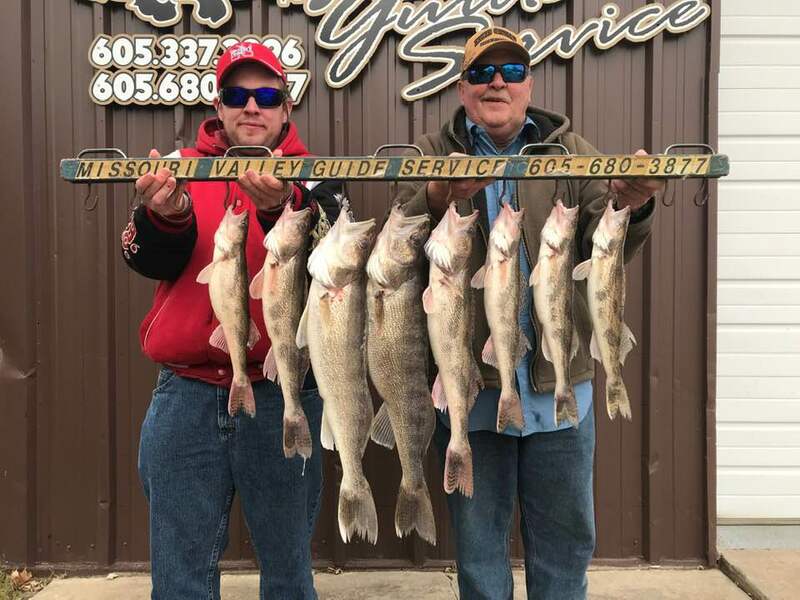 on the Rainy river in May 2018. 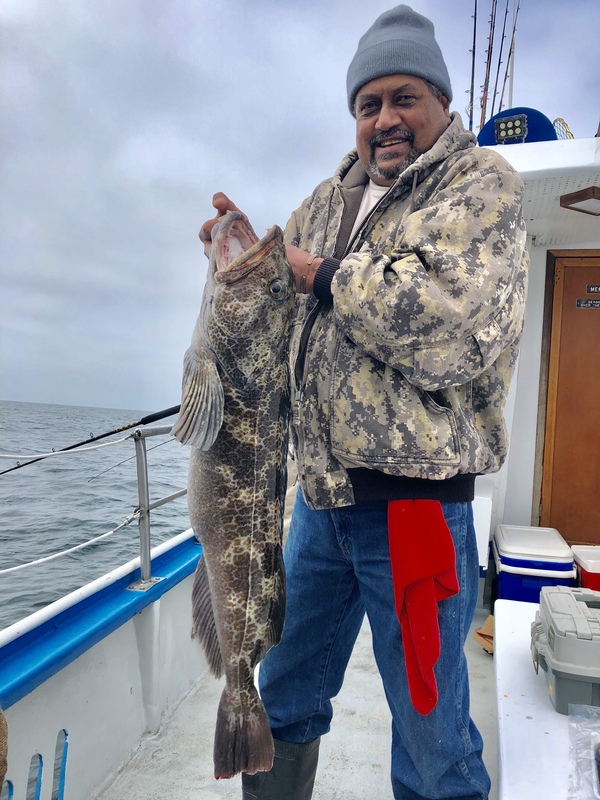 What a catch! 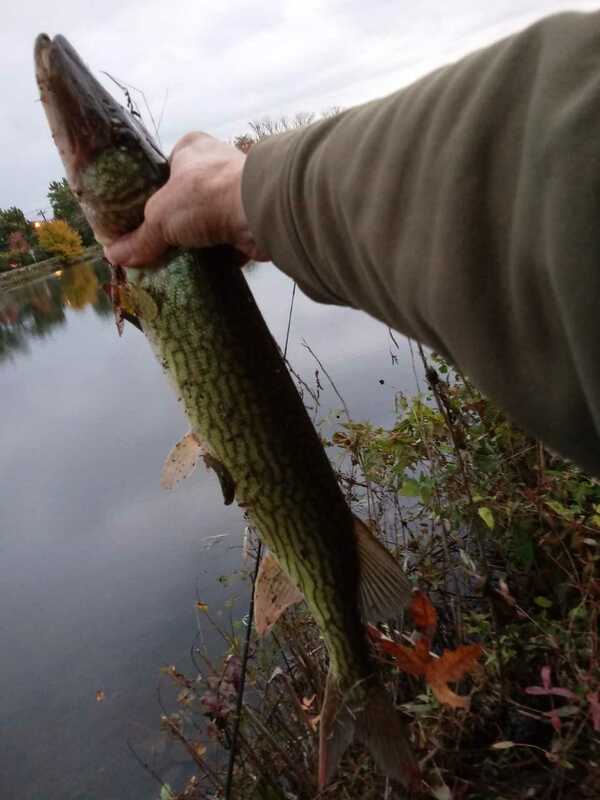 George Horvath caught and released this 23″ pickerel with a 1/32 oz jig on 4 lb test line in the Millstone River in October 2018. 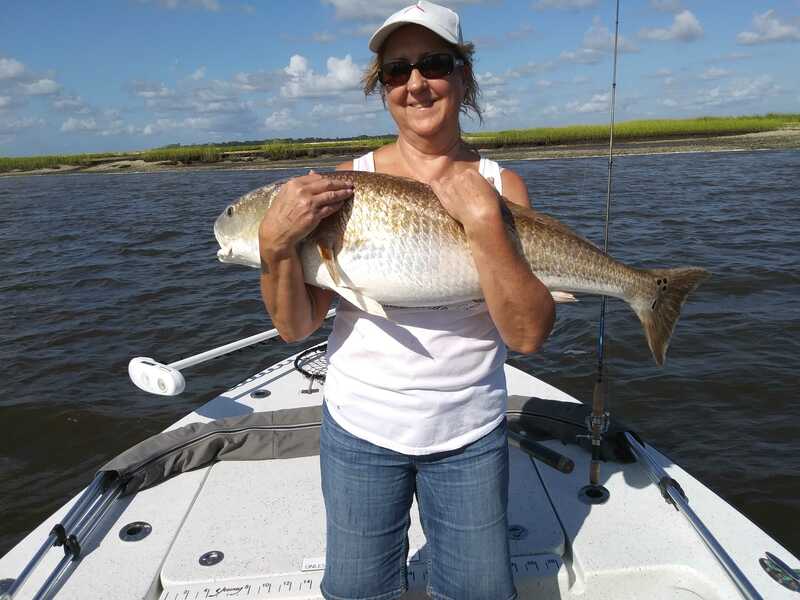 Carol Denheyer caught and released this huge Redfish while fishing with Captain Brian of Semper Fi Charters off of Amelia Island, Florida. 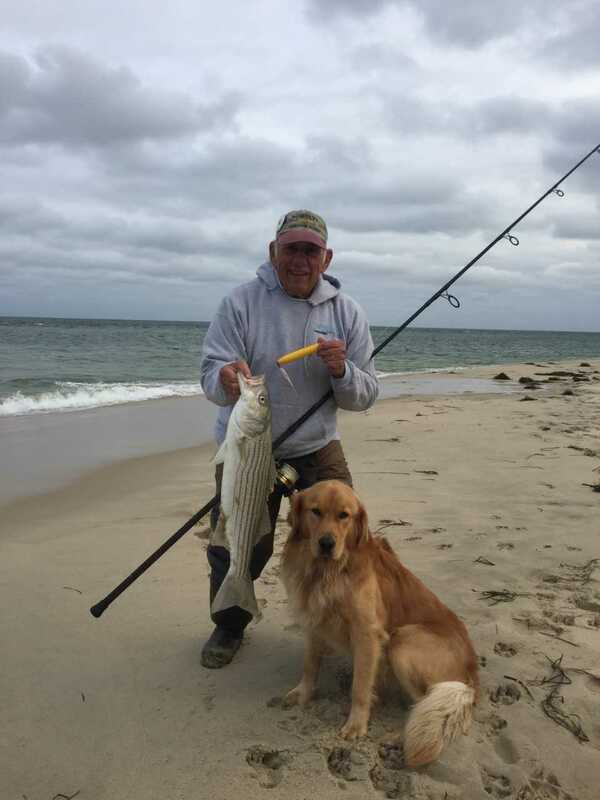 Hugh Schultz, with his canine friend Tucker, and his catch on Nantucket from late October 2018. 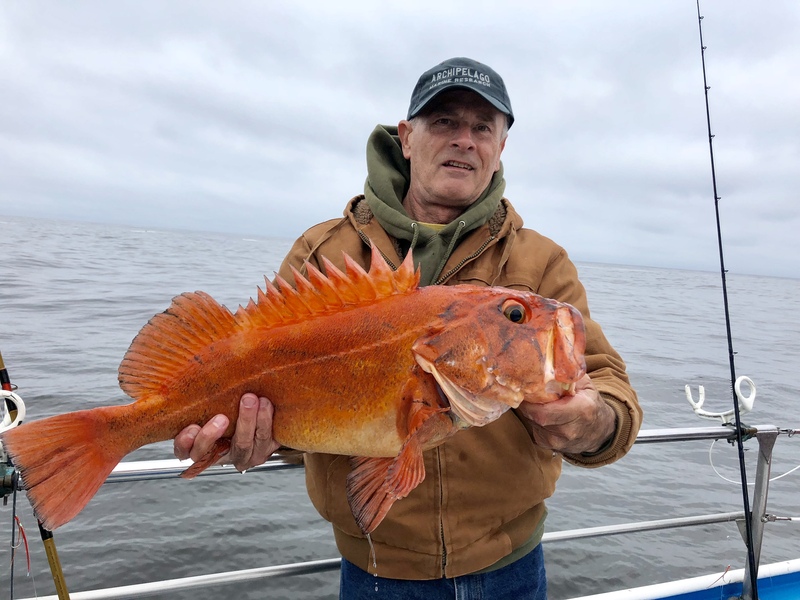 Dave Kammerer caught and released this Yelloweye rockfish on a CCFRP Research trip on the Huli Cat. 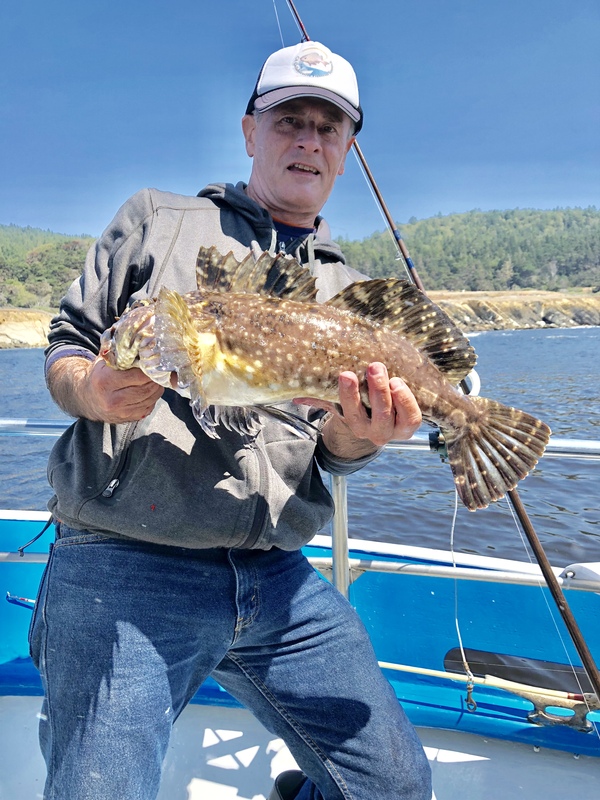 Dave Kammerer caught (and released) this nice Cabezon while fishing on the Huli Cat.